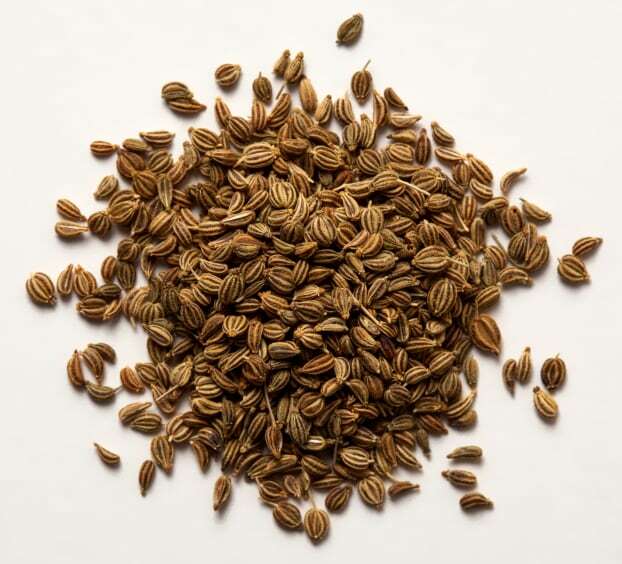 Carom seeds or ajwain is a popular spice with a number of health benefits. The seeds can be consumed as is or used in cooking to add flavor to your food. But did you know of the benefits of drinking carom seeds water? Replace a couple of glasses of water daily with carom seeds water and you can be on your way to great health. But what are the benefits of drinking carom seeds water? Read on to find out. First of all, how would you make carom seeds water? Take a liter of water in a vessel and heat it. When it starts coming to a boil, add a tsp of carom seeds to the water. Now allow it to continue to boil, until its quantity reduces. It is prescribed that the quantity should reduce to half. You can stop it when it comes to a rolling boil itself if you please. You will notice a color change in the water. Now strain this water and allow it to cool. Drink this up in regular intervals through the day. Now let us see what the health benefits of carom seeds water is. Drink up ajwain water when you have indigestion. Drinking this water will stimulate the body to produce more digestive enzymes, thereby helping you in the process of digestion. Due to the same reason, if you are suffering from gas or flatulence in the stomach, sip on some carom seeds water for relief. Carom seeds water helps in speeding up your metabolism due to the above reason. By doing this, it helps you burn your carbs and fat faster and effectively helps in weight loss. Carom seeds water is also given to kids who suffer from indigestion and keep crying as a result of it. However, when giving it to kids, keep the dosage to a teaspoon of carom seeds water, given 4-5 times through the day at regular intervals. While making the carom seeds water, you can inhale the water that is evaporating out of the vessel for instant relief from headache and cold since ajwain is a decongestant and will help ease out the phlegm in your respiratory system. If you are feeling nauseated, sipping on this water is said to relive the feeling and also help you feel better. Drinking this water is also an effective remedy for diarrhea and dysentery. Drinking ajwain water the first thing in the morning on empty stomach helps kill intestinal worms. If you suffer from boils or itching or eczema, splash your skin with some carom seeds water. Carom seeds are anti-inflammatory and anti-microbial. They will help bring any irritation and infection under control. Swishing your mouth with some carom seeds water in which a little salt is added will relieve any tooth ache or gum problems that you might be suffering from. Drinking carom seeds water daily will help women get their periods regularly and will also control excessive bleeding and cramps during the periods. There are so many benefits attributed to carom seeds water. It certainly does not have any side effects on the body when you consume 2-3 glasses of the water per day. So go ahead and include it in your daily diet and see the difference in your health for yourself.